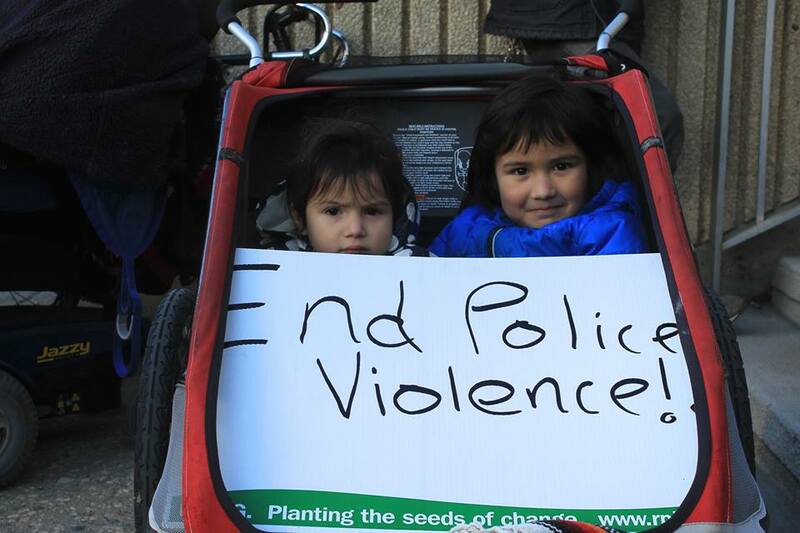 If we are serious about decolonization in Saskatchewan, then the role of police in targeting, harassing, assaulting, incarcerating, and disrespecting Indigenous people – as well as the low-income, disabled, and marginalized – must be addressed. Too many people experience the police as a violent, racist force in our cities, yet this province lags behind when it comes to building a movement to address the impunity and inflated budgets that city police services continue to enjoy. The police practice of targeting racialized people for “random” ID checks and harassment has been the subject of mass opposition and front-page reporting in eastern metropolises like New York City and Toronto, where Black Lives Matter and activists like Desmond Cole have doggedly pressed the issue and won legislative reforms. Until recently, police practices of carding and street checks have received comparatively less attention in Saskatchewan and the prairie provinces. However, a national investigation published in the Globe and Mail August 17 2015 revealed that on a per capita basis, police card five times as many people in Saskatoon as they do in Toronto (Regina Police Service, meanwhile, refused to offer any of their data for the Globe investigation). The overwhelming majority of people subjected to this unconstitutional and arbitrary authority in prairie cities are Indigenous. We call for the abolition to the practice and policy of carding and street checks by police in Saskatchewan. The “Unwanted Guest” initiative is a collaborative project of the Regina Downtown Business Improvement District and the Regina Police Service that was introduced in May 2015. Based on legislation in the 2009 provincial Trespass to Property act, the policy allows business owners and police to target panhandlers, the homeless and low-income, and people with mental health or addiction issues, who are identified and placed in a police database. Once in the database there is no mechanism for appeal and individuals are subject to heavy ticketing for failing to adhere to their banishment. The “Unwanted Guest” initiative has been used by police in place of the “Tag Day” anti-panhandling bylaw that was repealed in 2009. Business owners and the police are able to impose and enforce the ban with impunity. Those targeted have no formal recourse other than to file a complaint with the Saskatchewan Human Rights Commission. Meanwhile, existing laws already prohibit shoplifting and violent behaviour. The “Unwanted Guest” initiative reveals how the propertied business class uses the police as an institution of social cleansing and social control in violation of the Charter rights of vulnerable and oppressed peoples, many of whom are simply seeking a warm place to be or enough money to live. We call for the “Unwanted Guest” initiative and any similar policies in other cities to be repealed and for the database of targeted individuals to be deleted from police records. The fact there is no credible form of civilian oversight for police services in Saskatchewan is an affront to basic notions of democracy. Police are the only people permitted to move through our communities with open guns and other weapons and with the power to arrest, detain, and shoot people. Yet, they are subject to less scrutiny and oversight than schoolteachers or bus drivers. Take the case of Constable Robert Power in Regina. Constable Power lied at least three times in official police records about his assault of Eddie Stonechild while on duty in 2012. It was only after a judge ordered the release of security camera footage in 2015 that we could see Constable Power kicking Eddie Stonechild – a frail, unarmed, and homeless Indigenous man – in the torso. The kick knocked Stonechild backwards and he smashed the back of his head on a concrete barrier. Constable Power’s lies were revealed and he was convicted of assault. However, the provincial oversight body for police in Saskatchewan, The Saskatchewan Police Commission, ruled that Constable Power should be reinstated and so he continues to serve as a police officer in Regina despite his lies and his conviction for assaulting a homeless Indigenous man while on duty. In August 2016, the Supreme Court of Canada dismissed Power’s appeal of his assault conviction. When community members raised this issue in a presentation before Regina City Council vote on the police budget in December 2015, Mayor Michael Fougere, who chairs the Board of Police Commissioners, repeatedly interrupted them and told them they were not permitted to even mention the name “Eddie Stonechild” before council. This public display of censorship in which the chair of the Board of Police Commissioners sought to silence and intimidate those calling for police accountability demonstrates how little credibility present oversight mechanisms have. Or take the case of Regina resident Simon Moccasin, who was racially profiled, physically assaulted, and unlawfully detained by Regina police on December 10, 2014. Directly afterward, Mr. Moccasin was discouraged by RPS personnel from filing a formal complaint. After a year of relentless grassroots organizing on the issue that included demonstrations, a town hall event, and interventions by activists at meetings of the Board of Police Commissioners, the Public Complaints Commission finally issued a report in response to Moccasin’s formal complaint. Despite the findings of the report, neither the two officers, the Watch Commander, nor any of their superiors received any discipline. When Moccasin tried to arrange a direct meeting with the mayor and chair of the police board, Michael Fougere, to discuss the findings of the PCC report, Fougere declined. Most people who file complaints with the Public Complaints Commission never receive any response but a form letter informing them that there will be no further investigation into their complaint. For every complaint that is dismissed without investigation, there are many more police victims – the vast majority – who never file a complaint. The current system of Boards of Police Commissioners mandated in the provincial Police Act merely provides an additional public relations service for municipal police, offering nothing in the way of accountability or credible oversight. Boards of Police Commissioners function as boosters and sycophants for police chiefs and make a mockery of civilian oversight. And how can you have oversight and accountability without transparency? University of Regina journalism professor Patricia Elliott has written that the Regina Police Service may be the least transparent and most opaque police organization in Canada. Writing in January 2016, Elliott revealed that that the RPS came dead last among police services in Newspaper Canada’s Annual Freedom of Information Audit for 2015. A third recent case in Regina further highlights systemic shortcomings in police responsiveness and transparency. Regina resident Nadine Machiskinic, an Indigenous woman and mother of four, died from injuries sustained from a 10-story fall down the laundry chute of the Delta Hotel in the middle of the night on January 10, 2015. The police – called 60 hours after Machiskinic was found by staff – told the family there was no surveillance footage from the hotel, Yet, more than a year later footage was released. Toxicology reports were delayed and investigators were shuffled. The family has struggled to access updates on the investigation from police. Reports that Machiskinic had pulled the fire alarm and banged on hotel doors seeking help appear to have been dismissed. In fact, police told the family they had ruled out foul play almost a year before a coroner’s report was even released. A Coroner’s Inquest has now been set for March 2017 and the family is raising money on its own in order to pay for legal representation during the inquest as they seek justice in the face of systemic barriers. Machiskinic’s case highlights a further issue that is well known about police culture: the prevalence of misogyny and sexism. Women in Saskatchewan, and Indigenous women in particular, often fear and distrust the police because of their own experiences with police or because of the experiences of women they know. As autonomous grassroots groups, we have been approached by numerous women expressing concern and dissatisfaction about their encounters with police and with how police investigations are handled. We call for the provincial Police Act to be amended such that the current regime of Boards of Police Commissioners be replaced with credible, independent, arms-length Civilian Oversight Committees charged with the mandate and the resources to critically monitor police practices and conduct. Such Civilian Oversight Committees would monitor the police and consider public complaints from the standpoint of protecting the public safety of all residents, especially those most vulnerable to police abuse. We know that today, as throughout Saskatchewan’s history, the police are more likely to be a source of fear and distrust among vulnerable communities than a source of safety and support. And we know that this is not by accident. Despite persistently high levels of social inequality, poverty, and homelessness in our cities, gigantic annual police budgets continue to crowd out resources for public housing, mental health and wellness services, income supports, and other community priorities like public transit. It has become standard practice for city councils to approve large budget increases for city police year after year, without any discussion of whether more policing is the best use of public dollars. In 2015, four of the top 10 City of Regina earners were on the police payroll, with then Chief of Police Troy Hagen in the top spot earning more than $256,000 a year. This was the same chief who in December 2015, just days after RCMP Commissioner Bob Paulson acknowledged the presence of racists in the RCMP, denied that there any police with racist views in Regina. As a profession and an institution, the police are not trained or equipped to address the most pressing social needs within our communities, yet they continue to consume the lion’s share of city budgets. Furthermore, in the midst of major public sector budget cuts and scores of frontline layoffs in health care and education, in November 2016 the province allocated nearly $10 million to hire 81 more police officers in Regina and Saskatoon. A large proportion of the incidents police are called to address have their root causes in inadequate mental health supports, systemic poverty, and addiction. Constantly ramping up the number of uniformed officers on the streets does nothing to address these root issues. The social issues that are prevalent in “high crime” neighbourhood’s like Regina’s North Central are simply not addressed by placing more cruisers with new carbines on every block. It is neither fiscally prudent nor sound policy to continue pumping money into police salaries, overtime, and equipment when, by nature of the case, it does nothing to address issues at their source. It is a mark of authoritarianism to rely on the police to respond to systemic poverty and social hardship when there are more sensible, more effective, and more just ways to empower communities. We would like to see municipalities and the province begin to direct public funds away from police services and toward the services and programs that address root causes and best meet the needs of people in our communities. In our vision for Saskatchewan, the boot print of the police is always shrinking rather than ever expanding. When we orient collective resources to meet genuine social needs, communities are empowered. Safety arises from the good relations that are fostered when people are able to live in dignity, with adequate housing, food, and cultural resources. Historically, the police emerged in the nineteenth century in North America as a means to suppress working-class people and, with the formation of the North-West Mounted Police in the Prairies, to assert colonial dominion over Indigenous nations and their lands. We should not view the police as an apple cart, in which some of the apples are rotten. We should understand that from the perspective of those at the bottom of social hierarchies, the police have always been a rotten institution that plays a structural role in maintaining an unjust society dominated by colonial and capitalist relations of power. In our vision for Saskatchewan, the institution of the police will become a relic of a colonial past. Before the police can be abolished however, we must ramp up efforts to bring civilian oversight to the police, to defund and demilitarize the police, and to redirect resources to meet genuine social needs in our communities.